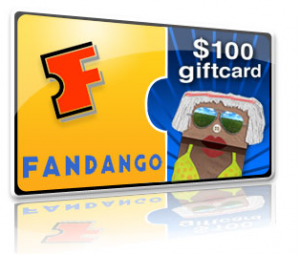 Find big savings with movie & book offers, gift cards and sweepstakes. It shouldn’t come as a big surprise that one of the resurging toy lines of late has been Transformers, which saw a relatively profitable Christmas season, all things considered. The feature movie was a huge hit among adults and children alike, raking in $320 million in domestic theatre sales alone, not even considering international releases and DVD releases. Transformers characters go way back too, being introduced in toy form in the early 1980′s, but their genealogy traces back even further to a Japanese toy line that was acquired by Hasbro for inclusion in the then popular G.I. Joe toy line. After being repurposed for Transformers, the original cartoon series was commissioned solely as a vehicle to propel sells of the toy line. Children then were fascinated with the innovative designs of Transformers, which led to more character developments, and more toy releases, some of which were impressive engineering feats, especially in the 80′s. Now that those kids have grown into adults, the resurgent interest in Transformers is split among the classic figures, the reissues, and the new releases. In 2008, McDonalds got into the foray and released some Happy Meal toys for kids that turned from vehicles into robots. While these entry-level toys were a far cry from full-fledge Transformers, it widened the audience even further, prompting children to follow in their parents footsteps by collecting the toys themselves. Now that the second feature film, Transformers 2, is in production, demand for these toys should continue to increase in the coming years. While the Transformer toy line is powerful, it’s not as exclusive as some other franchises (e.g. Lucas and Star Wars), so expect to see a large variety of spin-offs and crossover toys for the newer collectors. For the older collectors, local department stores and online retailers will still hold some appeal by stocking some of the classic reissues. But for old school Transformers fans who live for the now vintage Transformers, secondary market sales will be the only option. Secondary market sales include estate sales, yard sales, online auction sales, and party-to-party sales. Stay tuned for more to come out of the Transformers franchise – it should be an interesting year! For more information about Transformer action figures, characters, plot lines, and history, visit Shaun’s Transformers online enthusiast blog. Most bridal shows are scheduled in the months of January and August. Tickets are usually between $5.00 and $10.00 with a one or two dollar discount if you purchase your tickets online before the event. 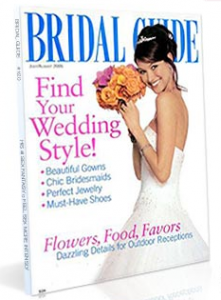 Prizes may be offered for the first 100, 200 or 500 brides to attend, which usually includes a copy of a major bridal magazine such as “Modern Bride,” a local bridal guide, a pin that says “Bride to Be,” as well as tickets for drawings and sweepstakes. The most recent bridal show I attended started at 11:00 and ended at 5:00. They had a mini bridal fashion show that started at noon and showcased about 20 wedding gowns and bridal tiaras from one of the exhibitors. The “Runway Fashion Show” which included more gowns and tuxedos was scheduled for 3:00. The prize drawings were announced at 2pm and 4pm. Having arrived at 11:00, my guests and I had visited all the exhibitors, watched the mini fashion show, and were done by around 12:30. I recommend going to bridal shows later in the day in order to be there for the main events and giveaways. Also, I noticed that there were plenty of free magazines, buttons, and gifts for people arriving after 12:30. Expect to see a multitude of local photographers at any bridal show you attend. You will be a little overwhelmed by their displays, but spend a little time looking through their photo albums, which contain some of their most personal and unusual candid shots. You will have fun sampling wedding cakes from all the local bakeries. Even better, is seeing new trends in wedding cakes. I saw rich, brown layered cakes with gold leaf accents, and bold, bright colors such as magenta, purple and hot pink. Unless you want to be bombarded with phone calls and emails from wedding professionals, be careful about the forms you fill out for the exhibitors. My daughter filled out a form for a free cruise giveaway. She was called after the show and asked for her credit card number over the phone. Remember, that even if you “win” something, it may be a $500 discount off of a $2,000 photography package. Being able to talk to so many wedding professionals in one place is very beneficial. Looking at companies online, who all claim to be the best at what they do, is impersonal and confusing. The exhibitors are friendly and helpful. You will be able to determine for yourself whether you like the taste and look of their cakes, or the design of their wedding veils. You may not win a prize, but you will come home with a free magazine, some referrals, and some great new ideas for your wedding. Kathleen Mary is the owner of Beautiful Bridal specializing in discount tiaras, veils, bridal and bridesmaid jewelry. Visit our blog for wedding planning tips, advice and information.